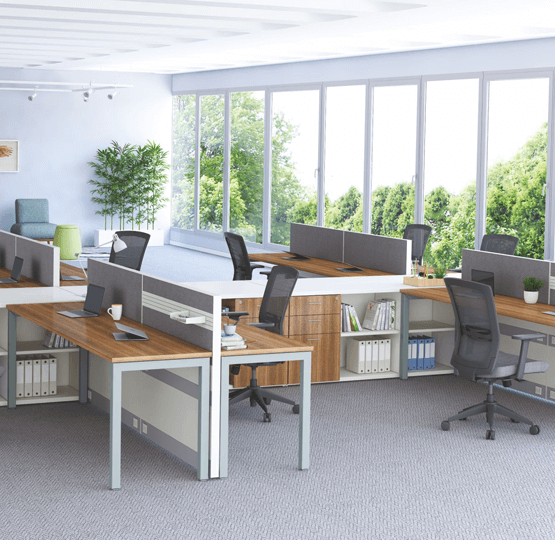 Efficient workspaces create the right kind of environment to optimize space and performance. 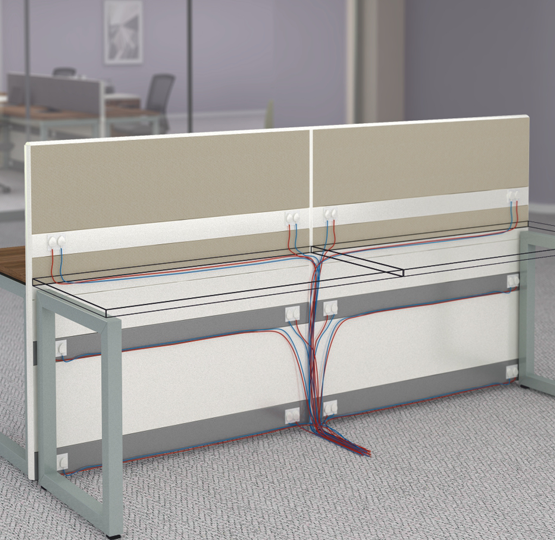 Connect workstations provide the perfect combination of focused work and collaborative interaction. 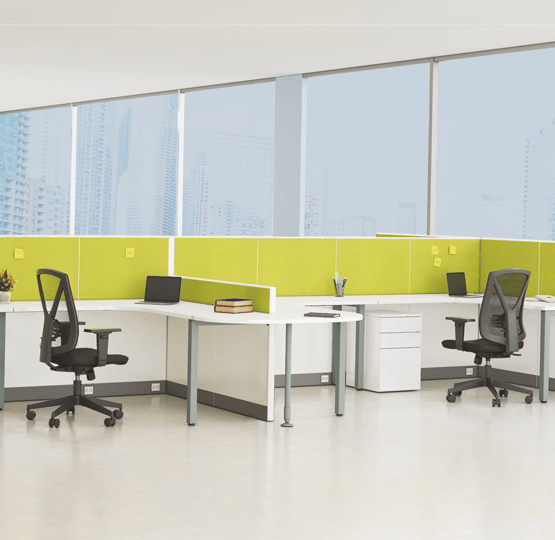 So whether you need to put down your head and work on a very vital presentation or you need to get some inputs from your team members for that big idea, these workstations will connect all the dots effectively. 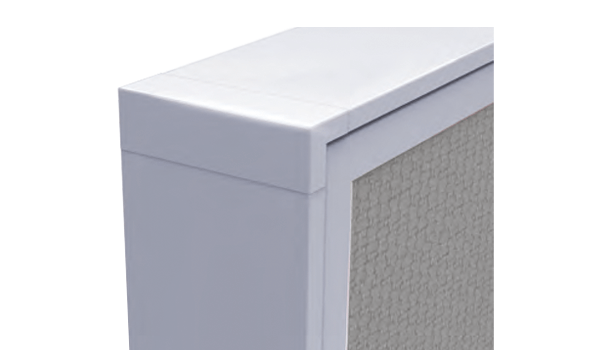 Durable yet smart aluminum frame provides for a superior stability and alignment. 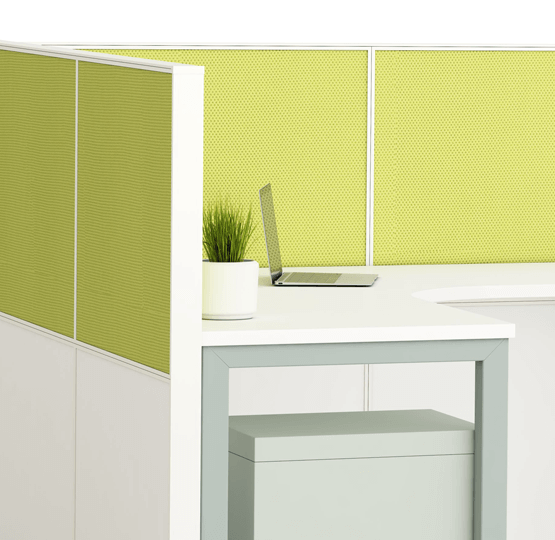 The tile panels framed on all four sides lend privacy without compromising on aesthetics. Data and power points can be conveniently placed at 3 strategically accessible points. 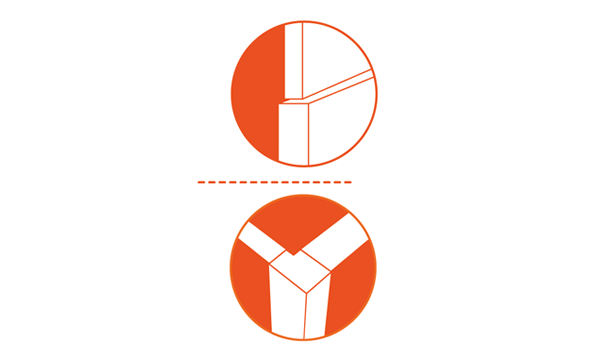 Flexibility is at the core of Connect system. 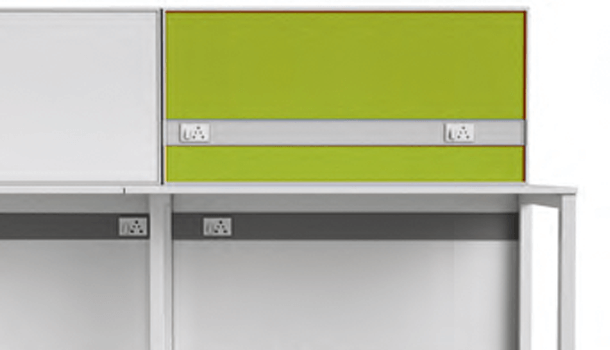 A 50mm panel can be clubbed with a 30 mm panel – horizontally or vertically to create a hybrid system that can provide a sleek open look without compromising on heavy cable carrying capacity.